A recent 18 month study revealed that there are over 300 alternative, natural treatments that are claimed to be effective against all manner of cancers. Many of these have evidently been successfully employed by thousands of cancer patients to provide enduring cures, without all the nasty side effects of conventional toxic and debilitating treatments such as chemo, radiation and surgery, which do not in any way address the fundamental causes of the disease. This recent explosion of information provided by the internet is however causing an interesting problem in the field of alternative cancer treatments. Historically, lack of information has been the main issue but now information overload has become the reality leaving the cancer patient with a bewildering collection of treatments and little guidance on how best to employ them. In the face of so many options, how can a cancer patient make an intelligent, informed choice about what therapies to incorporate in a multifaceted treatment protocol, without getting swamped and ending in a state of resignation or analysis-paralysis? In rare cases, some patients may only need to correct one fundamental problem but the majority require a more comprehensive treatment regime to address a broad range of contributing factors. Alternative practitioners and consultants generally advocate addressing 6 to 10 fundamental ailments to be sure of covering all the bases. Some of the best remedies appear to provide therapeutic merit in many categories. Mark Porringa's exhaustive investigation reveals a integrated theory of cancer and points to a more logical, holistic treatment approach to address all the apparent causes, as well as the symptoms, using a variety of natural remedies. 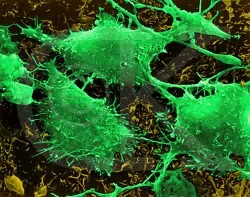 From this integrated perspective, cancer is seen as a chronic disorder of systemic proportions with many contributing factors including complex dietary deficiencies, metabolic dysfunction, environmental toxins, pathogens and other irritants that eventually becomes localized as tumors arising from a repair of injury process gone haywire due to a proliferation of growth hormones primarily from opportunistic fungal infections causing a loss of central control in the body in the absence of sufficient cellular oxygen. Once established, tumors act like monstrous parasites providing a “beach front” from which the disease can rapidly spread through out the body; the dreaded process of metastasis, which is too often accelerated by conventional triage mentality, quick fix, symptomatic treatment methods. The manifestation of tumors is a clear indication that the body has already essentially lost its battle against cancer, which at this point can only be remedied by decisive intervention. A comprehensive, phased protocol is envisioned which utilizes a multifaceted, synergistic approach that addresses tumor remission, tissue and organ rejuvenation, errant repair of injury processes, toxicity (carcinogens), metabolic dysfunction, nutritional and cellular oxygen deficiencies, pathogens, immune system response and pain relief in a natural, non toxic therapy which does not utilize any prescription drugs per se. All medicinal agents are generally available to the public, for personal use without a prescription, permitting self-treatment in dire circumstances or if financial resources are limited. This simple therapeutic protocol has many optional components and is suggested for case study investigation by open-minded practitioners who prefer a holistic approach to healing and still have enough guts to really practice medicine in their tyrannically regulated profession. Physicians who currently reside in some of the more progressive health freedom jurisdictions such as Alaska, New York, and Georgia where the dictatorial edicts of the AMA have recently been trimmed back, are specifically targeted.